We also now stock the much plauded Origin Live drive belts, please go to bottom of page for more info' on Origin Live drive belts. I realise the next paragraph is probably teaching to the converted, but it helps in understanding the importance of a good drive belt in the workings of a high end belt drive turntable such as those made by Pink Triangle. The analogue turntable is a device designed to spin a vinyl record at a constant speed and permit the tone arm/phono cartridge system to sense changes in the record groove with minimal interference. It provides listening pleasure that has yet to be fully realized by the compact disc, and other digital technology. 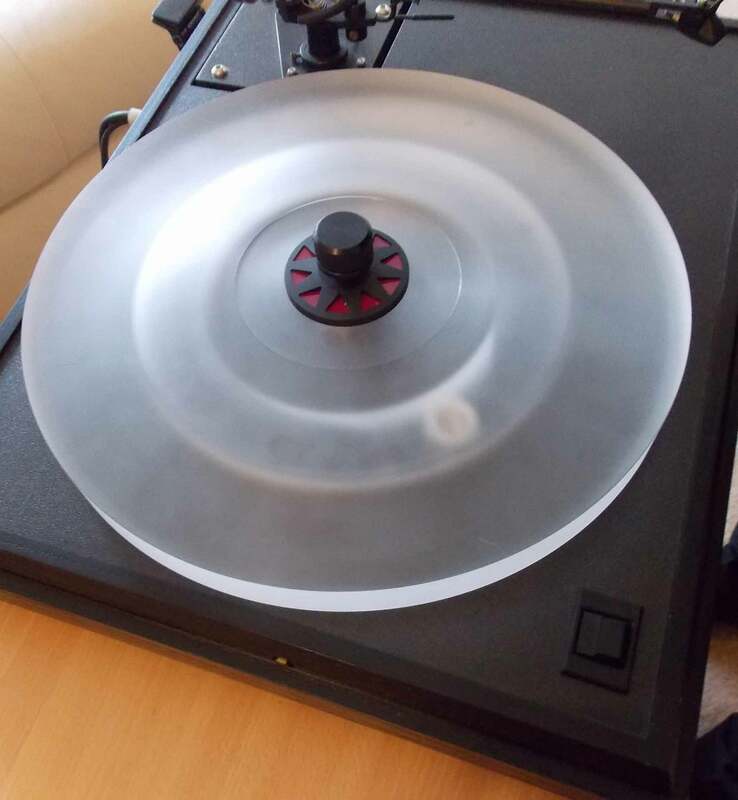 Why Should I Replace My Turntable Belt? 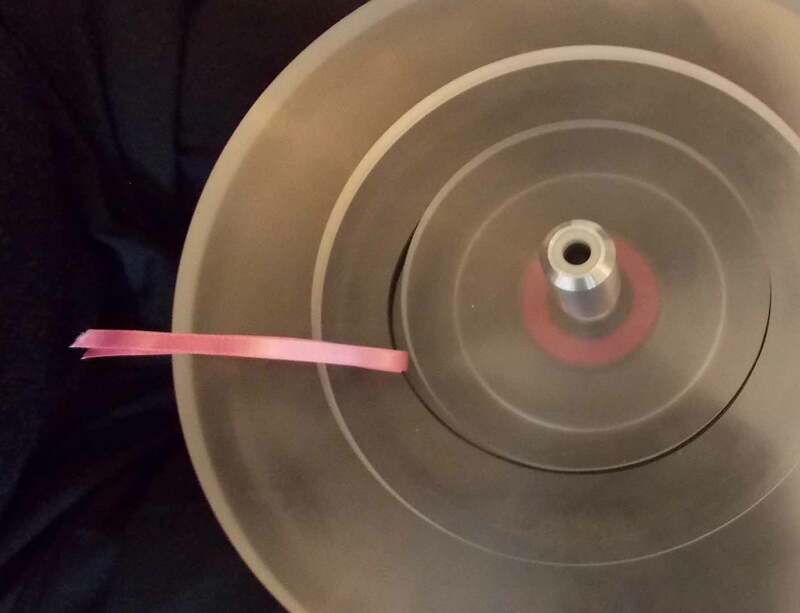 Accuracy of platter speed is none existent when your belt stretches or wears and causes slip which results in a slower turntable speed, so by replacing the drive belt of your Pink Triangle turntable with a new good quality belt you will bring back the listening enjoyment you originally experienced when it was new. This belt replacement represents one of the best value for money upgrades you can give your hi-fi system. 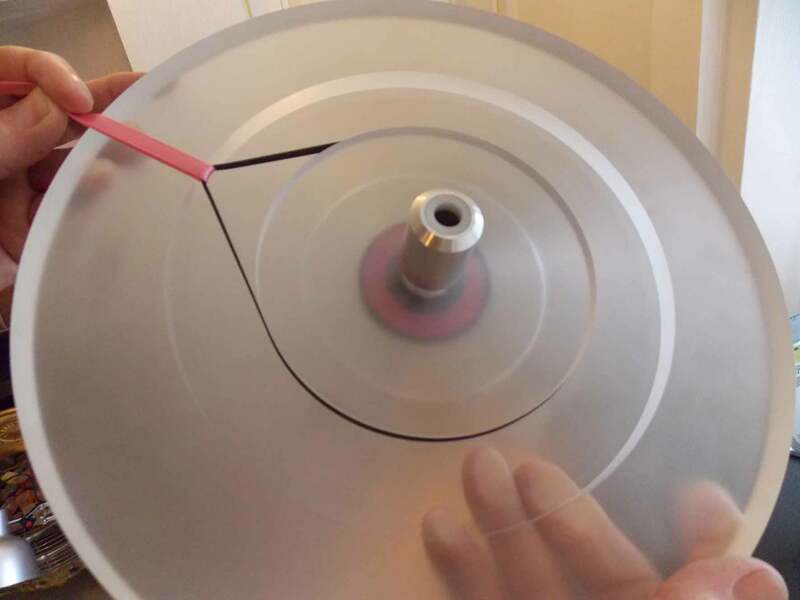 When should I replace my turntable drive belt? Usually 3-5 years seems to be the average. Belts stretch with time and degrade due to the contaminants in the atmosphere around it, the rubber becoming stiff and brittle as it loses its elasticity. Turntable belts don't like being idle. Run the turntable occasionally if you don't play records regularly. Also, check for signs of slow starting. This is usually caused by belt slip (the result of stretching). A belt stretched >5% over its new length should be replaced. 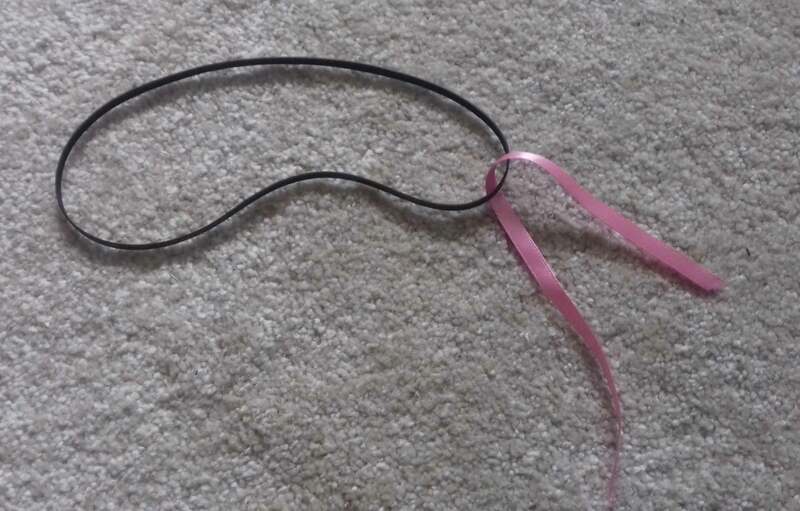 Our belts are of the highest quality and are supplied as a kit which includes the pink ribbon, fitting instructions and alcohol wipes for degreasing the platter edge and motor pulley that the belt rides on. 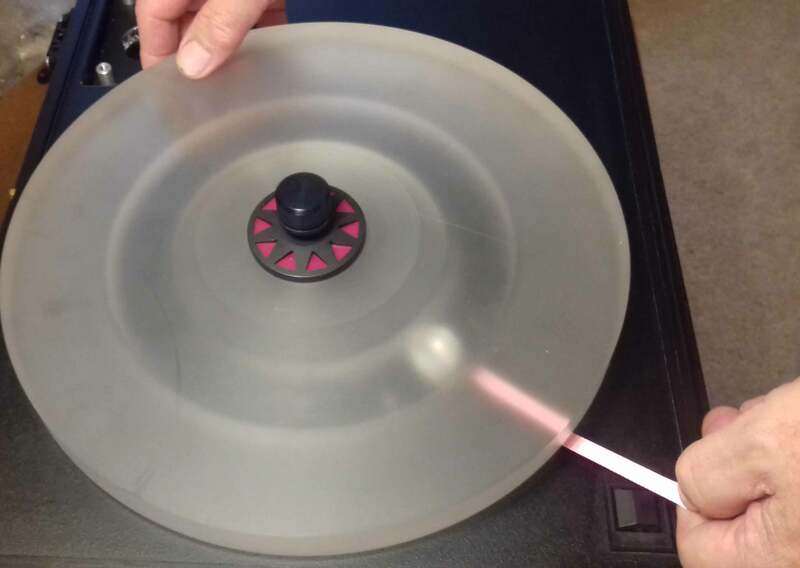 Having carefully removed the acrylic platter from the lower part of the turntable bearing, turn the Platter upside down and you will see a recess in which the belt sits round. Clean this surface with the alcohol wipe supplied and also clean the motor pulley. Now thread the ribbon though the belt and place the belt around the extrusion on the underside of the platter as shown in the photo. Now gently stretch the belt to the outer edge of the recess by pulling the ribbon, making sure the belt is not twisted. Turn the platter over, making sure the the belt is kept in tension with the ribbon. Now carefully lower the platter onto the fixed part of the bearing, making sure the platter does not drop onto the sapphire and damage it. Position the pull of the ribbon so that the belt slips over the motor pulley. You can see this by looking through the platter at the pulley. 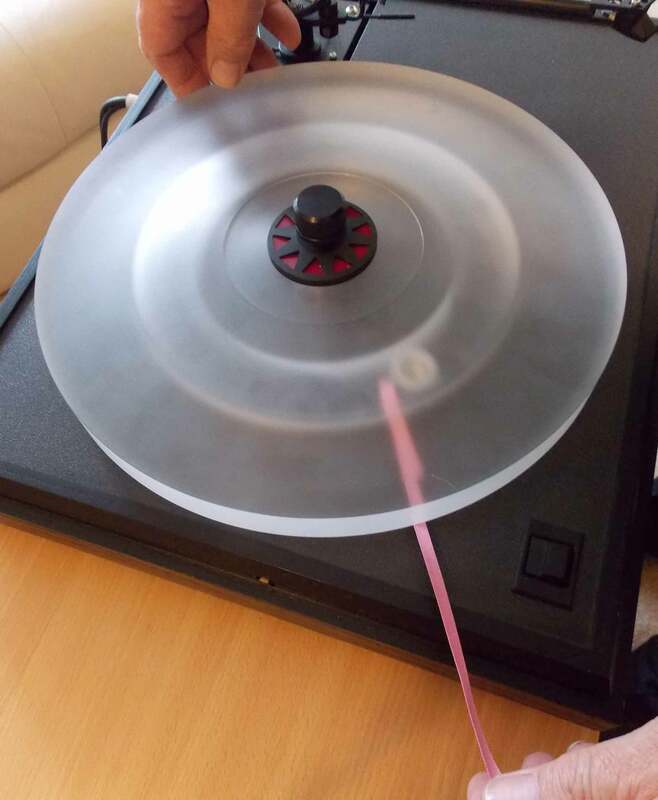 Carefully rotate the platter clockwise so that the ribbon moves off the pulley. Rotate the platter in a clockwise direction by hand a couple of revolutions to check that the belt is seated on the inner edge of the platter and also on the centre part of the motor pulley. All done, now enjoy listening to your vinyl. 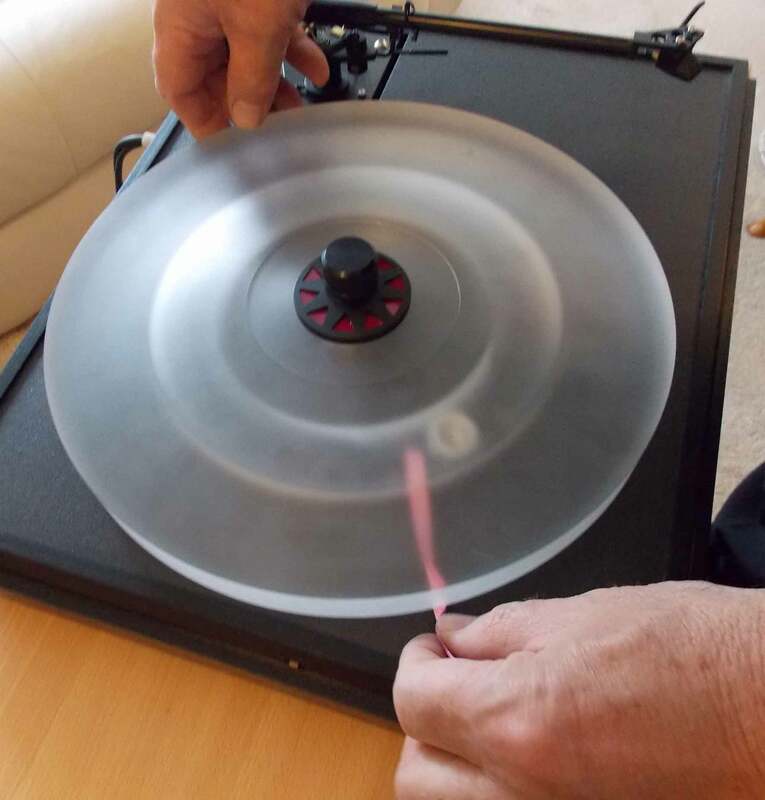 The turntable drive belt controls the level of unwanted vibration transmitted from your deck's motor, to the platter, then to the record where it finally feeds into your stylus. This chain directly influences your deck's performance. Upgrading your standard neoprene drive belt, to one of a superior rubber with textured surface finish has been proven to deliver results well beyond expectations. This unique turntable drive belt works because it offers increased grip and reduces vibration transmission into your record. The dramatic improvements in performance over any official turntable drive belt has staggered users. We also now stock the much plauded Origin Live drive belts please click on the logo for more info. We are creating a separate webpage for Vector Drives and the fitting of their drive belts.